Nelson Ireson April 3, 2012 Comment Now! 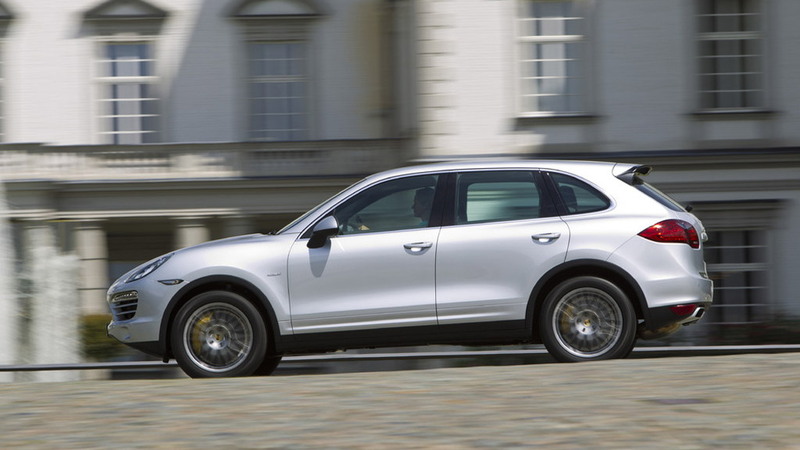 While the whole 2013 Porsche Cayenne range gets a set of small updates, it's the new model that's wagging tongues: the diesel. It's been on the market in Europe since 2009, but today, it's making its way to the U.S., though it won't arrive in showrooms until September. Priced from $55,750, the Cayenne Diesel sits smack in between the base Cayenne and the Cayenne S.
In power terms, however, it's about 20 percent behind the V-6 Cayenne gasoline burner, measuring 240 horsepower from its 3.0-liter V-6 turbodiesel engine. On the other hand, it does generate a substantial 406 pound-feet of torque, 37 lb-ft more than the Cayenne S and 111 lb-ft more than the base Cayenne. Like the rest of the Cayenne range, the Diesel carries a 7,716-pound tow rating. Despite the quick acceleration and strong torque figures, the Cayenne Diesel manages an estimated 20 mpg city and 28 mpg highway, though final figures will wait until closer to the vehicle's arrival this fall. That's a significant improvement over the 15/22 mpg (manual) and 16/23 mpg (automatic) rating of the V-6 Cayenne, and even better than the 20/24 mpg rating of the Cayenne S Hybrid, though the hybrid is far more powerful and much quicker. 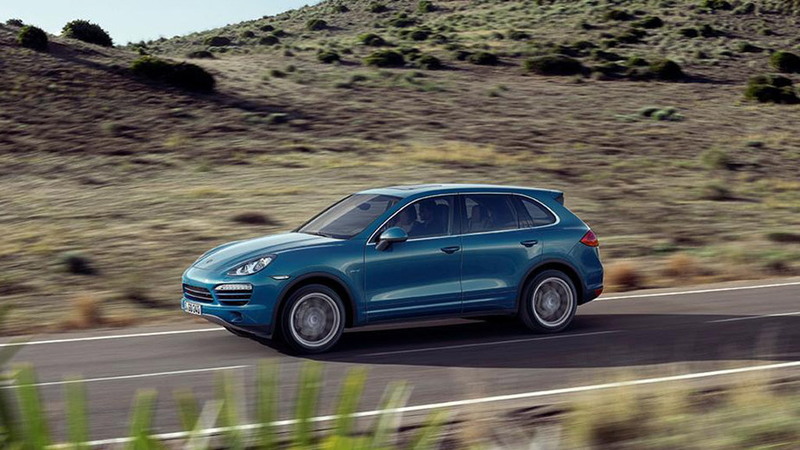 Porsche says the Cayenne Diesel is good for up to 740 miles on a single tank of fuel. That much grunt should provide very good off-the-line acceleration and in-gear passing power, even if the lack of horsepower will limit the top end. 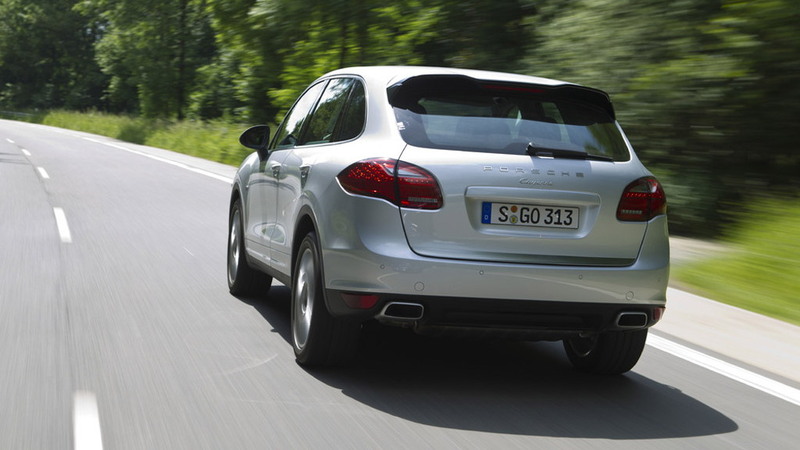 In fact, Porsche states the top speed of the Cayenne Diesel to be 135 mph, 7 mph short of the base Cayenne's top speed. But the Diesel gets to 60 mph in 7.2 seconds, three-tenths of a second quicker than the eight-speed Tiptronic S gasoline V-6 version. The Tiptronic S transmission is the only one offered on the Diesel. Permanent all-wheel drive through Porsche Traction Management (PTM) provides traction on road and off. Porsche's aware that not everyone is completely familiar with diesel, and has provided some safeguards to prevent mis-fueling with gasoline: a mechanical device in the fuel filler neck blocks smaller-diameter gasoline pump nozzles, allowing only the larger diesel nozzle in far enough to reach the tank. To limit diesel-specific emissions, a selective catalytic reduction (SCR) system uses an AdBlue (urea) tank to control oxides of nitrogen (NOx) in the exhaust. The only external identifiers of the Cayenne Diesel are a set of "Diesel" badges on the front fenders. 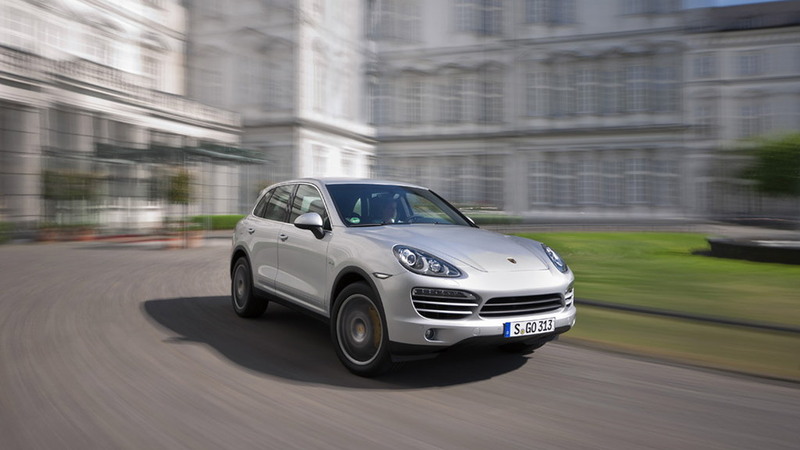 Common updates to the full 2013 Cayenne range include some minor interior tweaks, such as a new standard analog clock on the dashboard, and new door lock buttons by the door handles; and a new European Factory Delivery program extended to the full range. A CDR audio system is standard on all models, and includes a seven-inch color touchscreen display. An optional Burmester upgrade audio system delivers audiophile-grade sound, while a Bose system offers an intermediary choice. 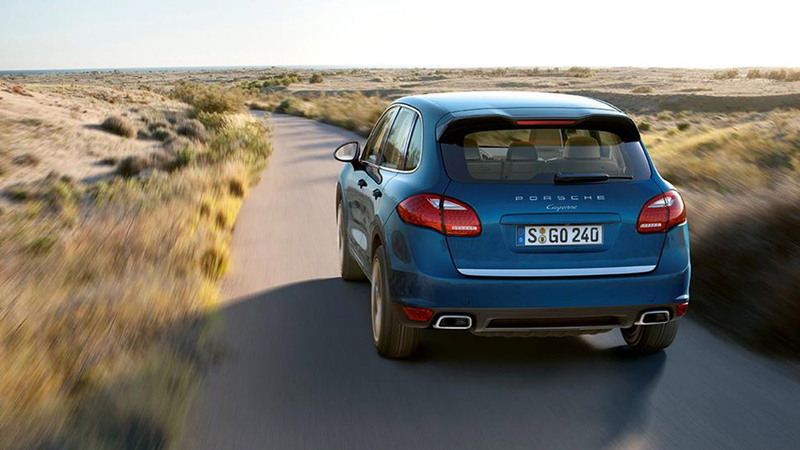 We'll bring you live images of the 2013 Porsche Cayenne Diesel straight from the New York Auto Show this week. You can find all of our show coverage right here.